Jaded Blossom: Too Cute to Spook! Hello there and happy Monday! 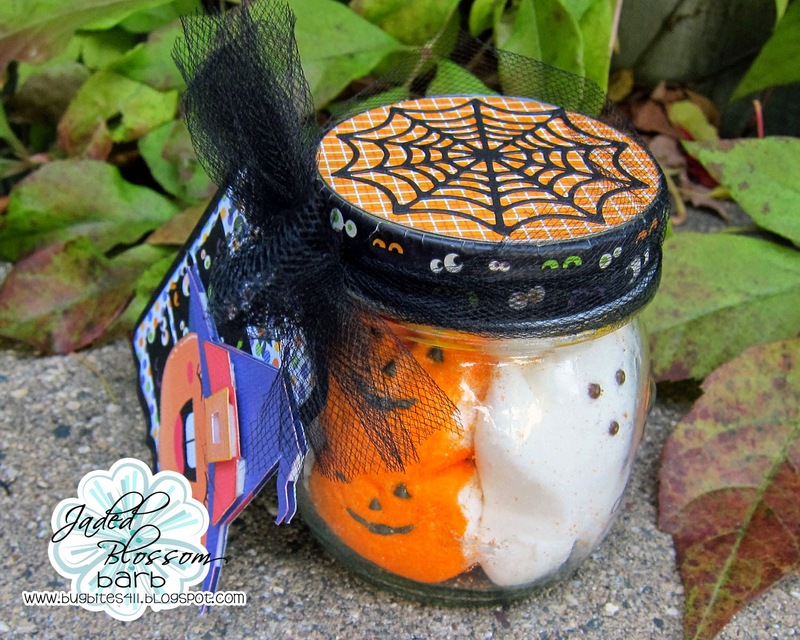 Barb from BugBites here to share a new treat project today all ready for Halloween treat giving using some spooky Jaded Blossom dies. 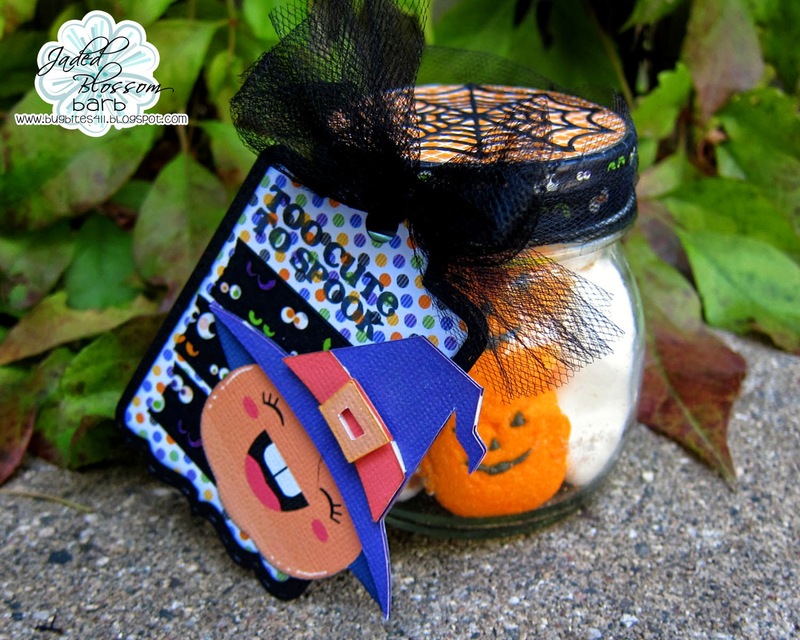 I filled a jar with some of those Halloween peeps and other goodies before embellishing. The lid looked a bit plain after I added the tag and such so I added some pattern paper and a spider web die cute. I think that was the finishing touch it needed. Yummy treat with the a cool tag and lid.